These aluminum cookie sheets take baking to a whole new level! 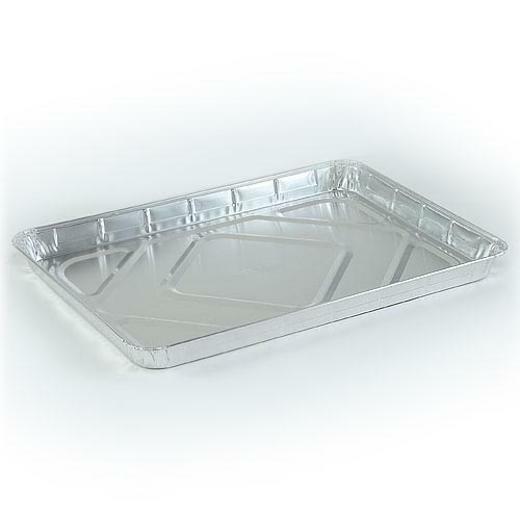 Convenient for home bakers and professionals alike, these aluminum cookie sheets are the perfect way to get your pastries and other items baked to perfection. Disposable aluminum is a great way of avoiding the hassle of cleaning large and dirty dishes ever again! Made in the USA. 11.5 in. x 4.5 in. x 1 in. L: 11.5 in. W: 4.5 in. H: 1.0 in.